You’ll discover the skills and connections you need to explore the world, secure a job, and create your future. 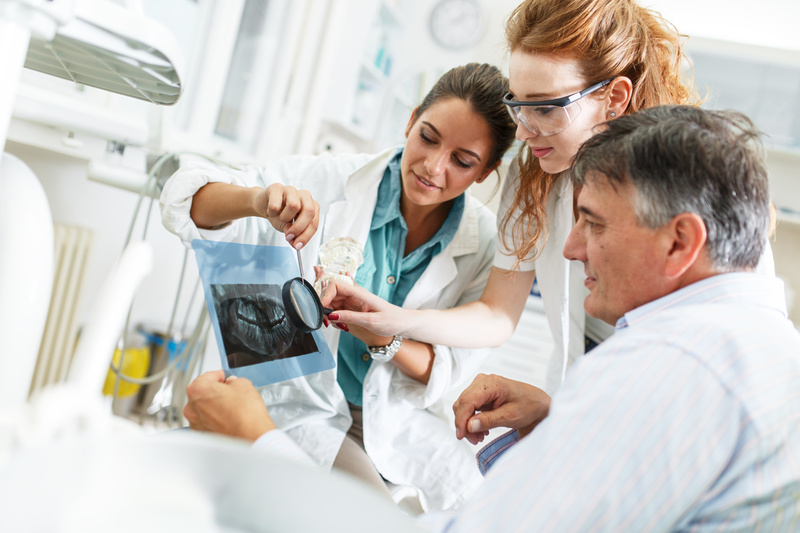 The Arizona School of Dental Assisting is ranked as one of the best value program, due to our competitive tuition rates, outstanding academic programs, and our focus on student success. Our tuition includes books and supplies. All students enroll for a complete program and pay tuition for the complete program prior to entrance unless other arrangements have been made. Arrangements may be made for students to pay tuition on a monthly basis. Tuition must be paid either prior to entrance or prior to the month in which it is due. A late fee of $10.00 is charged for late payments. Collections fees will be applied to any unpaid tuition and will be the student’s responsibility to pay. Estimated costs for the current academic year. An applicant denied entry the school is entitled to a refund of all monies paid. An applicant who provides written notice of cancellation within three days (excluding Saturday, Sunday and federal or state holidays) of signing an enrollment agreement is entitled to a refund of all monies paid. No later than 30days of receiving the notice of cancellation, the school shall provide the 100% refund. An applicant requesting cancellation more than three days after signing an enrollment agreement and making an initial payment, but prior to entering the school, is entitled to a refund of all monies paid minus a non-refundable application fee of $50 and the enrollment fee of $200. I/We understand and agree to pay court costs, attorney fees and a 50% (fifty percent) collection fee on any outstanding balances over (30) thirty days past due. I/We also agree to pay 2% interest per month on any outstanding balances over (30) days past due. Refund will be issued in 30 days. A written intent of withdrawal must be received by certified mail. 1. Procedure for withdrawal/withdrawal date: A student choosing to withdraw from the school after the commencement of classes is to provide written notice to the Registrar or the Director of the school. The notice is to indicate the expected last date of attendance and be signed and dated by the student. For a student who is on authorized Leave of Absence, the withdraw date is the date the student was scheduled to return from the Leave and failed to do so. (1) If the student completes 10% or less, the school may keep 10% of the tuition charged and will refund 90%. (2) If the student completes more than 10% and up to 20%, the school may keep 20% of the tuition charged, and will refund 80%. (3) If the student completes more than 20% and up to 30%, the school may keep 30% of the tuition charged, and will refund 70%. (4) If the student completes more than 30% and up to 40%, the school may keep 40% of the tuition charged, and will refund 60%. (5) If the student completes more than 40% and up to 50%, the school may keep 50% of the tuition charged, and will refund 50%. (6) If the student completes more than 50% the school may keep 100% of the tuition charged, and no refund is due. 3. Books and Supplies: There is no refund for equipment, books and supplies. 4. Special Cases: In case of prolonged illness or accident, death in the family, or other circumstances that make it impractical for the student to complete the program, the school may make a settlement, which is reasonable and fair. 5. Online Classes: Refund policy does not apply to Online Program. I understand that if I am not 18 years of age, a parent or guardian must sign this agreement. The school provides job placement assistance without additional charge but provides no guarantee of job placement nor does it imply, state, or guarantee a given amount of earnings. I have received a copy of the school catalog. My signature below signifies that I have read and understand all three pages of this Enrollment Agreement and have received a copy for my records. I recognize my legal responsibilities in regard to this contract. I understand this agreement is not binding until accepted by the school and the three (3) business day cancellation privilege has expired. I hereby authorize my secondary school and/or college to release my academic record and other pertinent information to the school if required. If requested, I will furnish a copy of my high school or college diploma. I understand that if I am accepted to the school I accept the standards of personal conduct which the school considers fundamental to the welfare of the school and its students. I understand that all fees must be current before I can begin or continue attendance or receive school services. All financial obligations to the school must be discharged before grades or transcripts can be issued or a certificate awarded. In the event of default, I agree to pay all collections and/or reasonable attorney fees.